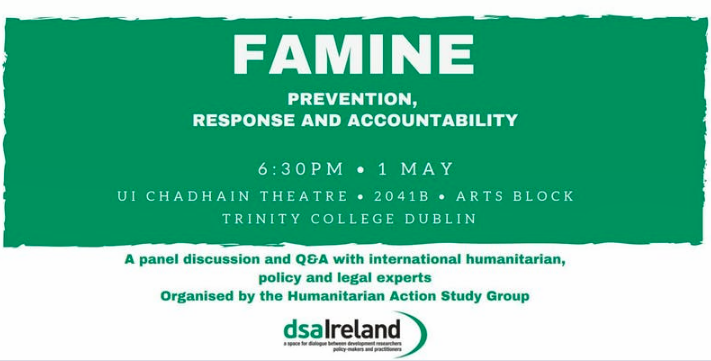 GRC’s Legal consultant Margherita Stevoli will speak at the event “Famine: Prevention, Response and Accountability” in Dublin, organized by the Humanitarian Action Study Group of the Development Studies Association of Ireland (DSAI). 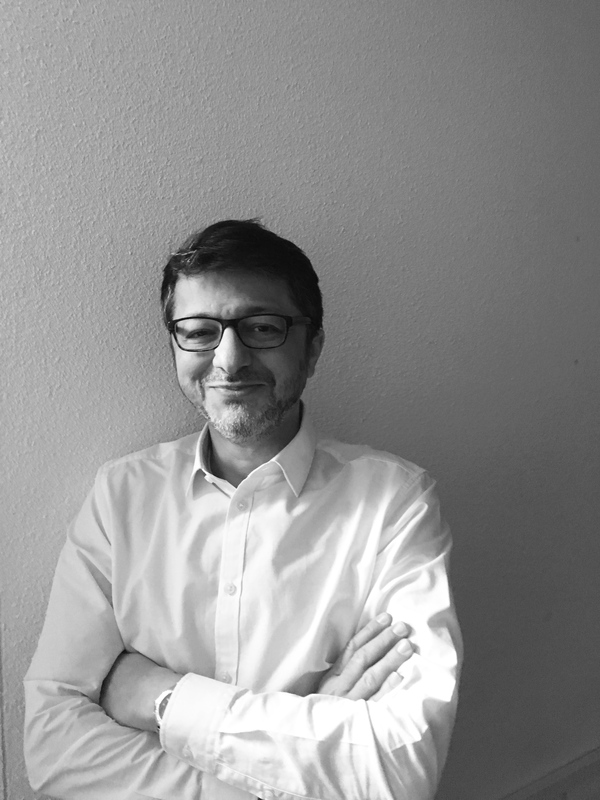 The panel discussion, which will take place on the 1st of May at 18:30, will bring together leading international humanitarian, legal and policy experts on famine prevention, response and accountability to explore what more can be done to eliminate famine in the 21st century. Speakers will include as well Kate Munro, Action against Hunger UK; and Matthew Cogan, Humanitarian Unit, Irish Aid. 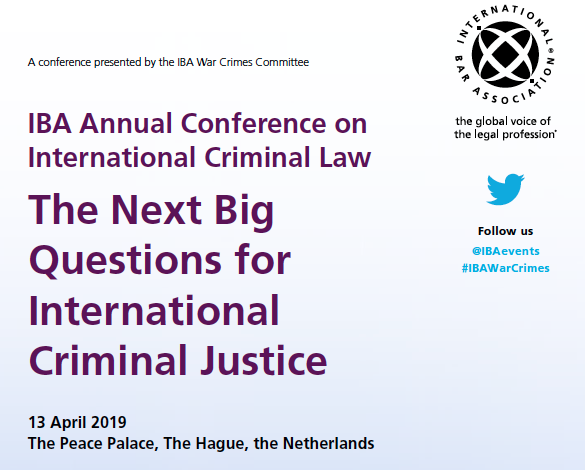 The aim of the event is to build knowledge, understanding and advocacy, research and programming capacity in the area of conflict, hunger and IHL. Margherita will focus on UNSC Resolution 2417 and how civil society and researchers can engage with this Resolution. Registration for the event is possible here.